Seriously where does time go? It’s crazy to think that it’s almost summer! 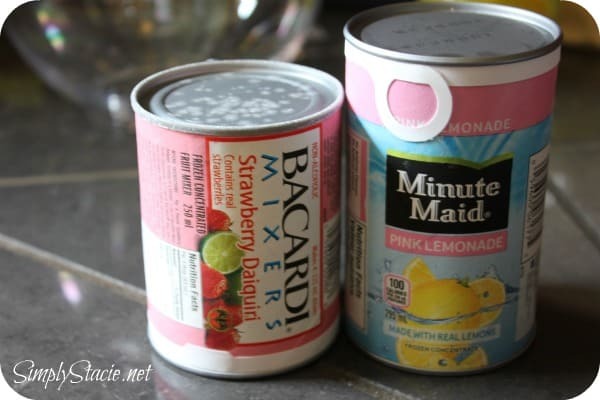 This Victoria Day long weekend, we are getting the barbecue fired up and I’ll be whipping up a few drink recipes thanks to Minute Maid and the experts in the Canadian Living test kitchen. 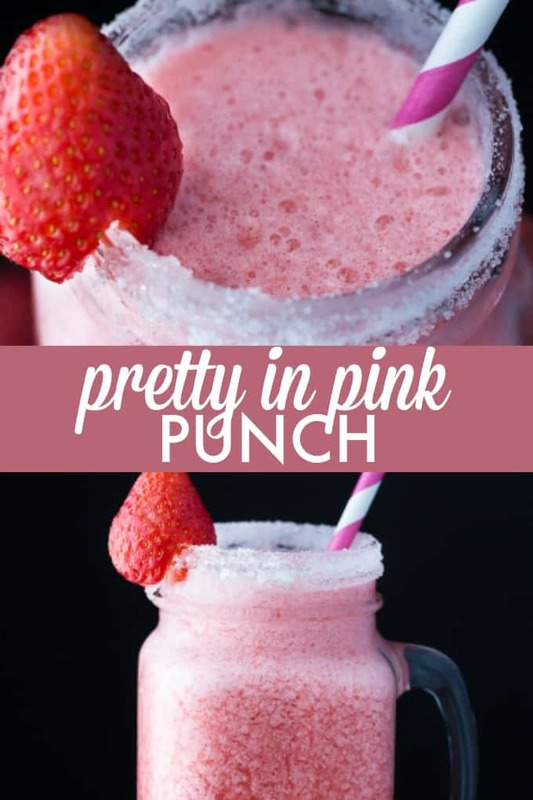 Earlier this week I made Pretty in Pink Punch which was oh so sweet and refreshing! It would be perfect to serve at a shower (wedding or baby) or just as a cold drink to enjoy in the sun. If you wanted to give it a little kick with some alcohol, just add some white rum. Or vodka! It is so simple and quick to make with only four basic ingredients. Check out the other summer entertaining recipes at Minute Maid. 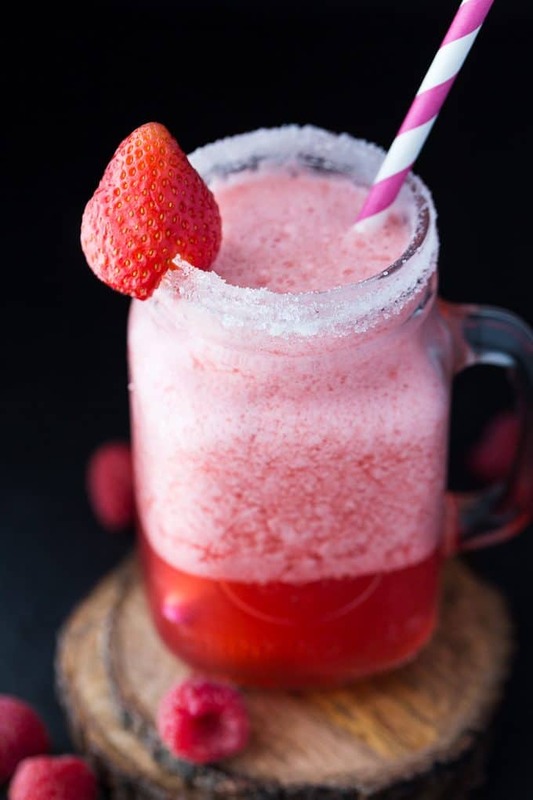 I’ve got another one that I’m looking to try so I’ll be sharing one more drink recipe with you! This Orange Julius recipe also hits the spot! 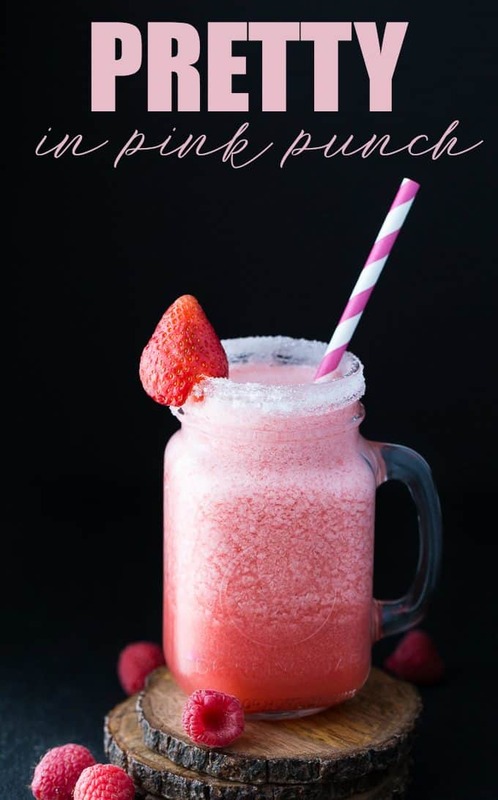 Tastes like summer with a refreshing blend of pink lemonade and strawberry daiquiri mix! In a blender, combine pink lemonade and daiquiri frozen concentrates, rum (optional) and water. Add in the ice cubes. If you don’t like your juice too sweet, then add in some more water. Pulse until blended and frothy, about 1 minute. Garnish with raspberries or sliced strawberries to make it look ever prettier! This one looks super yummy. The Lime and Coconut one Kathryn mentioned sounds good too…recipe? Mmm, so yummy! I think I have found my new favorite sweet summer treat 😉 Your photos are great too! Thanks for sharing with Delicious Dish Tuesday! We’d love it if you’d please provide a link back to the hop! This looks so yummy and pretty with all the layers. Love this recipe. Pinning. Looks great, I need to try that this weekend! This looks delicious. It’s going on my to make list soon. It’s perfect for a hot summer day. Pinning. What a refreshing drink this will be for the summer time. I love this recipe… Featuring today on the blog! Thank you so much for partying with us. Oh yum! 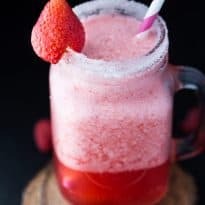 This sounds like a perfect drink for relaxing on summer nights! Thanks for linking up with Merry Monday; I’ll be featuring your recipe at our upcoming party. I hope you’ll stop by and link up again! Your recipes ALWAYS catch my eye at our link up party… and make me hungry!! Thanks so much for sharing and have a wondering week Stacie!